An interdisciplinary team of experts teaches newcomers how to open, staff, and equip an insurance or cash-friendly office for patients, and how to raise the capital necessary for it. Mid-life practitioners learn how to augment their economic return on investment [ROI] and increase office efficiencies using modern information systems in the health 2.0 era. And, mature physicians learn how to maximize transferable practice business value for retirement success. What this book does for you? Describes the current state of Health 2.0: definitions, tools, costs, scale and adoption curves. Illustrates how off-the-shelf and web-based tools [Software-as-a-Service] empower patients, yet supports both “best-of-breed” clinical care, and new-wave medical office business practices for the physician. Defines the emerging Participatory Health movement and how it impacts three generations of healthcare providers. Identifies challenges and opportunities for new doctors, mid-care physicians and mature practitioners in a patient-centered and value driven model that’s enabled through technology. Provides expert advice from leading thinkers combining both traditional [Health 1.0] and futuristic micro-medical practice business models. Helps launch the patient center medical office of the future. 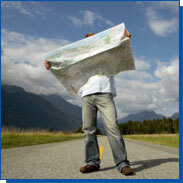 Offers the opportunity to enjoy and succeed in private medical practice; again. 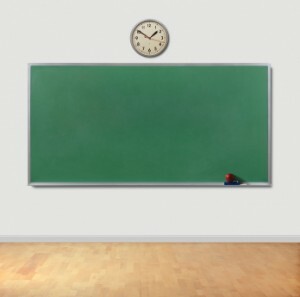 Blackboard illustrating a typical medical school syllabus, with curriculum, on business education and practice management. Doctors, dentists, podiatrists, medical students, clinic administrators and practice managers purchase our book for many reasons. Learn how to hire the consultant[s] that’s right for you. Enjoy a meaningful, less stressful and profitable career … again! According to Dr. George Lundberg, former Editor-in-Chief of JAMA, all medical and health care is intensely personal: one patient, one professional, one moment, one decision. The patient is best served by fully participating. With American health care reform imminent, participation for self-preservation becomes even more important. Pingback: Gary L. Bode, MSA, CPA, P.C. • Does Health 2.0 enhance or detract from traditional medical care delivery, and can private practice business models survive? • How does transparent business information and reimbursement data impact the modern competitive healthcare scene? • How are medical practices, clinics, and doctors evolving as a result of rapid health and non-health related IT change? • Does transparent quality information affect the private practice ecosystem? 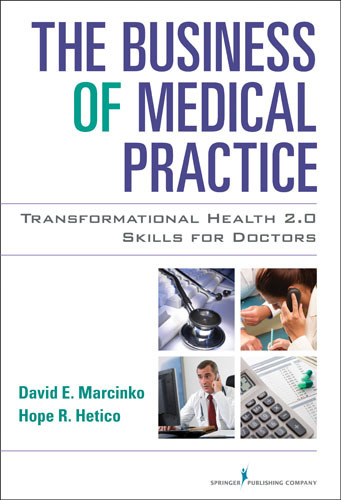 Answering these questions and more, this newly updated and revised edition is an essential tool for doctors, nurses, and healthcare administrators; management and business consultants; accountants; and medical, dental, business, and healthcare administration graduate and doctoral students. Written in plain language using nontechnical jargon, the text presents a progressive discussion of management and operation strategies. It incorporates prose, news reports, regulatory and academic perspectives with health 2.0 examples, blog and internet links, as well as charts, tables, diagrams, URL citations, and website references, resulting in an all-encompassing resource. It integrates various medical practice business disciplines—from finance and economics to marketing to the strategic management sciences—to improve patient outcomes and achieve best practices in the healthcare administration field. I’d really like to be a part of online community where I can get feed-back from other experienced individuals that share the same interest. If you have any recommendations, please let me know. Cheers!